It seems like the Halloween candy displays in the stores come out earlier and earlier each year, and now that we are over halfway through October, the Halloween chocolate temptations are out in full effect! Life is all about balance, so we say: enjoy the candy! If you are particularly concerned about breaking the calorie-bank with all those fun-size options, we’ve done the legwork for you. Here are the five worst and five best chocolate choices you can make! 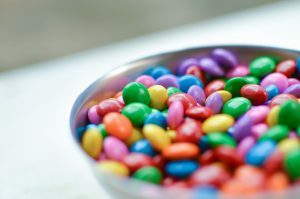 Peanut Butter M&Ms – Regular M&Ms are the lighter option. The addition of peanut butter (while delicious) puts a fun-size pack at 95 calories, 4 grams of fat, and 12 grams of sugar. Whoppers – These crunchy malt bites might seem like a good choice because of how small they are and how few come in a pack, but they manage to fit 100 calories, 4 grams of fat, and 13 grams of sugar into one fun-size serving. Take 5 – This bar has got it all – pretzels, caramel, chocolate, peanuts, peanut butter… but all those ingredients add up to 100 calories, 6 grams of fat, and 9 grams of sugar in just one little bar. Reese’s Peanut Butter Cup – Who doesn’t love this classic chocolate peanut butter combo? Love or hate – these 110 cal cups contain 7 grams of fat and 11 grams of sugar in each one… not the best choice. Snickers Peanut Butter – If you haven’t noticed yet, the addition of peanut butter as a main ingredient adds the most cals, fat, and sugar. In this case, the Peanut Butter Snickers come in as the worst choice with 130 calories, 7 grams of fat, and 12 grams of sugar in one fun-size serving. KitKat – These crunchy little bars are a favorite for many! They are a bit higher on the calories (70 cals per fun-size bar), but they make up for it with only 3 grams of fat and 7 grams of sugar. Hershey’s Milk Chocolate – The ol’ standby might be on the plain side, but for purists this one will hit the spot. Each fun size bar has 67 calories, 4 grams of fat, and 9 grams of sugar. Raisinets – These movie theater faves are only 67 calories and 4 grams of fat per fun-size pack, but are a bit higher on the sugar content with 10 grams. Milk Duds – Believe it or not, these indulgent little bites are the most bang for your buck with only 40 calories per package. They also come in low on the list for fat content (2 g) and sugar content (6 g). In the grand scheme of things, the caloric difference between our best and worst choice Halloween chocolate may be relatively negligible. 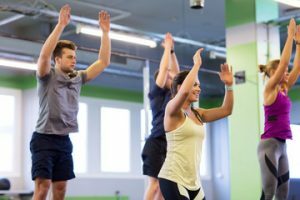 However, if you look at calories in terms of how many burpees it takes to burn them off, it might be more meaningful (depending on how much you love/hate burpees). For example – a 150 lb woman doing burpees at a moderate pace will burn about 10 calories in one minute. That being said… Would you do burpees for 13 minutes for a Snicker Peanut Butter?! 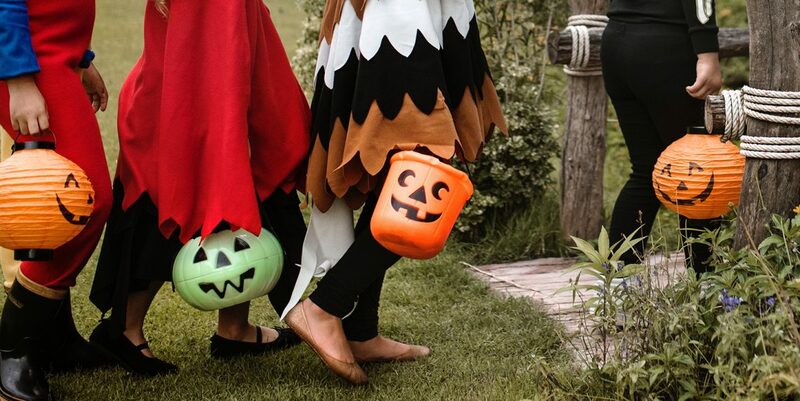 Like we said before, life is all about balance, and we encourage everyone to take care of themselves, and sometimes, that self-care includes some Halloween candy!